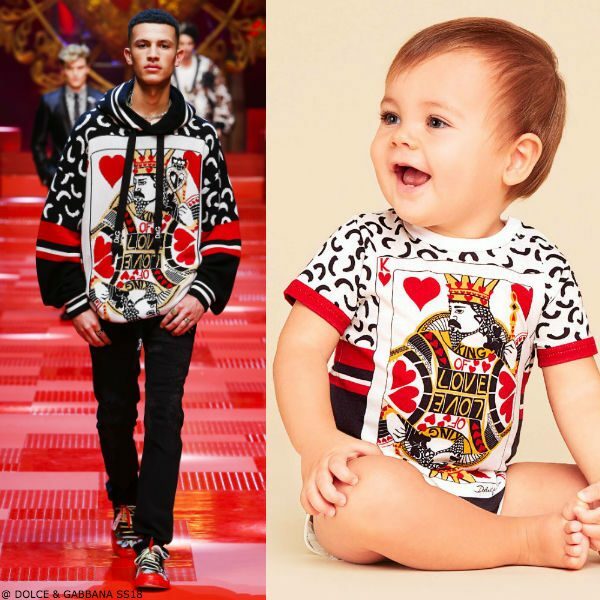 Love this super cute DOLCE & GABBANA Baby Boys King of Hearts Shortie from the Spring Summer 2018 Collection. Your little prince will look so cute wearing this Daddy & Me Look, inspired by the Dolce & Gabbana Men's Runway Collection at Milan Fashion Week. This stylish little look for boys has a colorful 'King of Hearts' print, with a 'D&G' logo on the back.